This article is from our sister site, the LocaCarnivore. 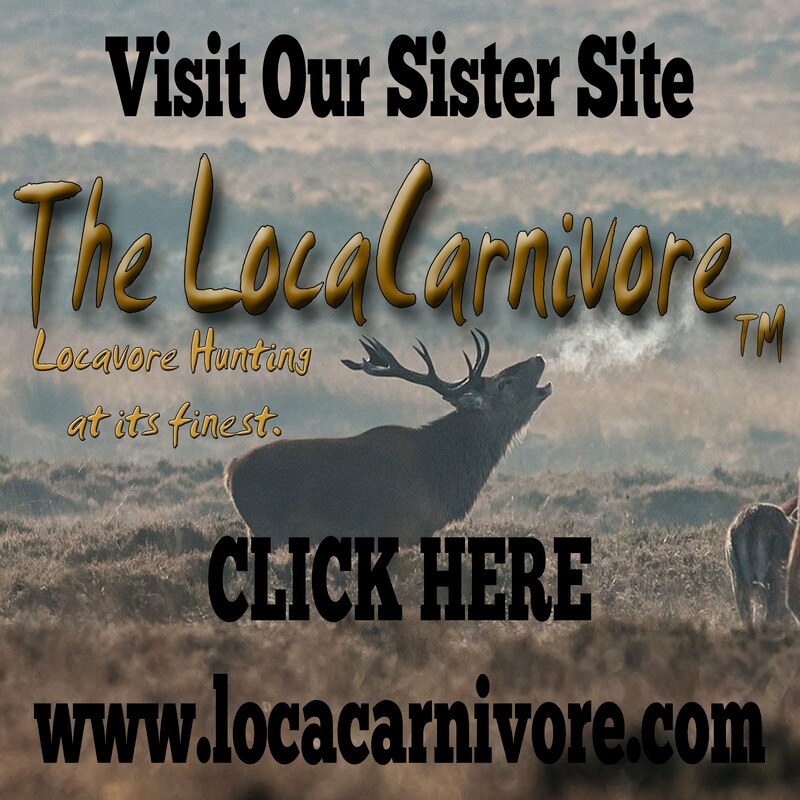 Check it out for information about locavore hunting. Being a LocaCarnivore hunter means taking advantage of changing opportunities. Larry and I had gone to a place we've hunted many times before. This day, we were looking for bear but would take grouse if any presented themselves. I also brought along my berry picker and some bags because I knew we'd see elderberries and rosehips along the way. Larry wanted to walk a trail we had seen many times but never explored to determine if it had bear potential. On our way up to the trail, I noticed to my dismay how drought stricken everything looked, even now that we had had rain. 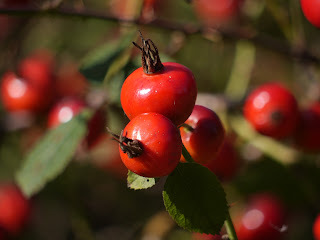 It looked like the wild roses and chokecherries gave up even trying to make fruits, but the elders were full and ripe wherever there was surface water or an underground spring. We walked up the trail from the main road and noticed deer and elk tracks alongside cow tracks, but saw no bear sign. The "stream" the trail ran beside was apparently intermittent, probably only flowing during spring runoff. We noted the rosehips and elderberries as we went. You could count the bushes on one hand. Not a great place for bear in the fall. At this point, we switched gears and went to places where we knew there were more elderberries. 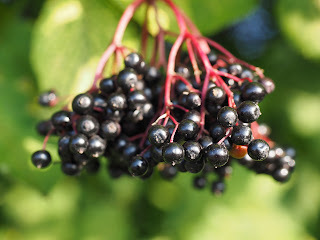 We found several elder groves and I scooped the tart berries into my berry picker. (If you aren't using a berry picker , you're doing it the hard way.) I filled the bag with the purple fruit and then we decided to go to a place where wild rosehips grew along a creek. 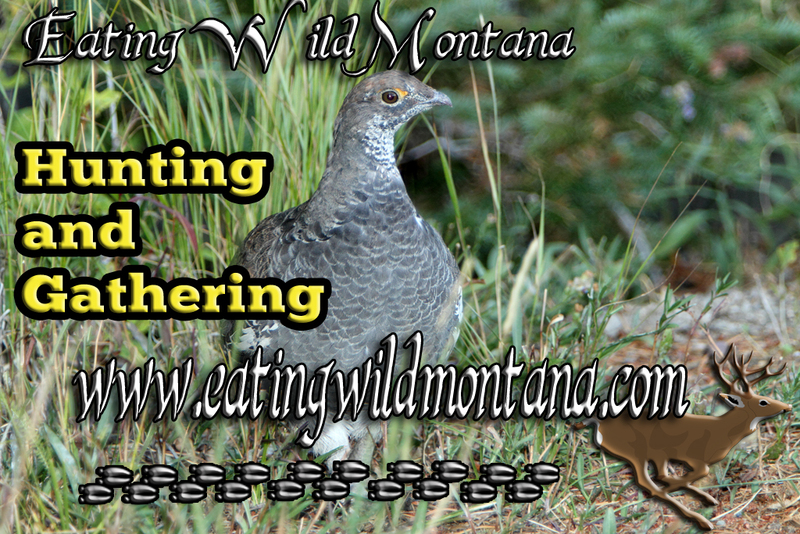 We neared the patch when a blue grouse came out of hiding. One shot from my trusty 20 gauge and I had the bird in hand. I thanked him, put him in a bag, and we continued on to the rosehips. There were bushes upon bushes of rosehips that hadn't been disturbed by bears yet. So I started scooping them up, but they're not easy to pick, even with the berry picker. I had to push the branches aside and the thorns scratched my arms and stuck my fingers. Larry offered his work gloves, which made the job easier. While he kept careful watch with his trusty .375 H&H in hand (never pick berries in bear country without a lookout), I harvested a bag of rosehips. As we drove home, I marveled at how we went hunting but ended up both hunting and gathering. The grouse has now joined another in the freezer, so we can now have a yummy dinner in the future. 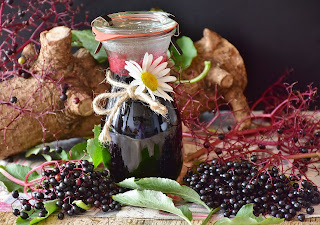 What to do with our Food? Please Note: This article does contain affiliate links on products I personally recommend. If you enjoy reading Eating Wild Montana, please support our website and our affiliates.